Teasing SRK fans with a teaser of SRK as and in Fan! One of the films we are eagerly awaiting is Fan which stars Shah Rukh Khan both as the superstar he is and what is even cooler is that he will be seen playing a fan! 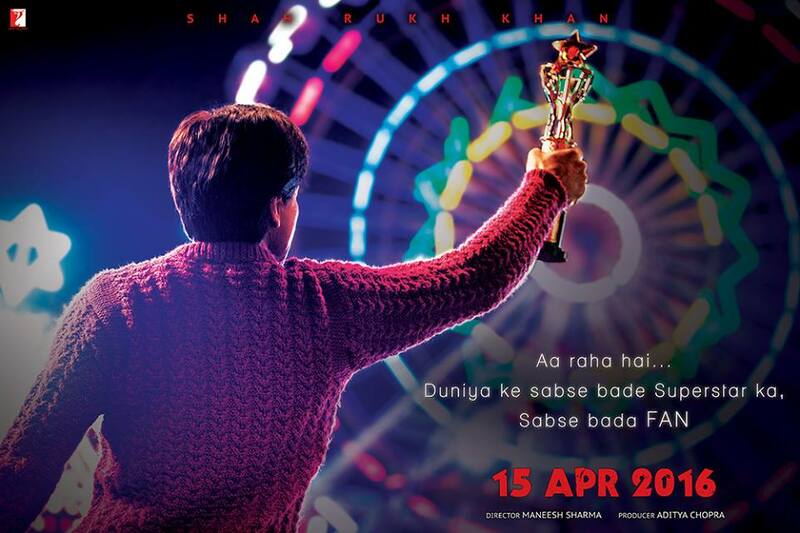 Directed by Maneesh Sharma and produced by Aditya Chopra, Fan has been written by Habib Faisal, sadly Fan will not hit the big screen until April 15th 2016. Now, may have a long wait to see Shah Rukh Khan as and in Fan but Yash Raj Films is certainly giving us some cool treats to hold us over until we can see that first trailer and then finally see the film in the theater! Check out this brand new teaser poster! Stay tuned we will be bringing you all the Fan news! 16 queries in 1.281 seconds.